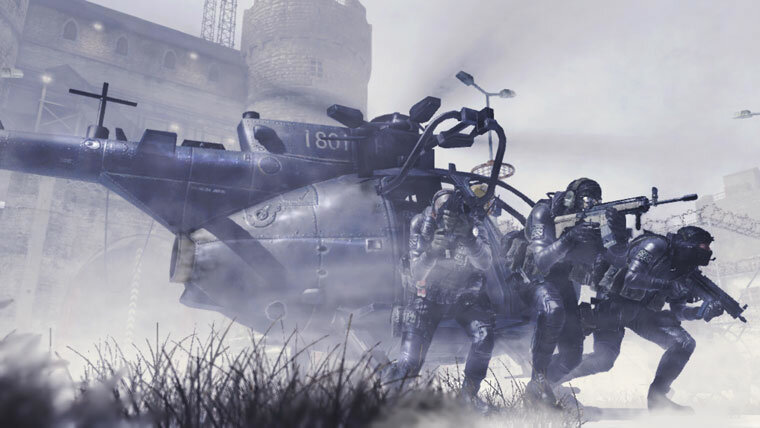 InfinityWard has recently announced that people will not have the option to play on dedicated servers in Modern Warfare 2 or use any mod tools. This news has put the PC community in an uproar. Not having dedicated servers in Call of Duty 4: Modern Warfare for consoles is something gamers are very used to at this point, but PC players of Call of Duty 4 seem to not be able to live with out those dedicated servers. For that option to be in Call of Duty 4 only to have InfinityWard take it away for the sequel is just not right. So far InfinityWard has not yet officially made a statement on this after the communities reaction but Modern Warfare 2 is set to replace the ability to have dedicated servers on the PC with a new matchmaking system run by InfinityWard called IW.net. There were two different petitions that started on the InfintyWard forums asking the dedicated servers and mod tools be put in the game. In the petition, fans were even willing to have the PC release date pushed back just to get it in the game. Liking adding fuel to the fire, InfinityWard deleted the petition thread that grew to around 300 pages shortly after the news was announced. Another thread was made with assurance from moderators that it would not be deleted again but the original act can only be seen as a sign that IW will not be changing anything at this point, but you never know. Recently creators of the most notable Battlefield games, DICE have even responded via Twitter. Battlefield Executive Producer Karl-Magnus Troedsson has said “Dedicated servers FTW. What ever secures a better online experience is a given for us.” IW Commmuntiy Manager Robert Bowling has stated that the change to using IW.net is to give the average PC gamer a better gaming experience. He was unaware of the mod tools people were using in Call of Duty 4 and is unsure whether or not IW.net can support that on their servers. Currently Modern Warfare 2 is still slated for a November 10, 2009 release for the PC, 360 and PS3. The game on the PC will also have Steam support as well.